The first tai chi book exclusively for children ages 4 to 8. • Uses children's delight in imitating animals to teach the eight basic tai chi forms essential for health. • Each exercise is accompanied by colorful artwork and photographs of the author's 7-year-old son demonstrating postures. • Written as a story to invite imaginative play and learning. • Designed for children and parents to play with together and for independent learning by older children. Millions of adults practice the ancient Chinese exercise of tai chi everyday. Now children can experience the numerous health, learning, and social benefits of tai chi--focused attention; enhanced creativity, imagination, self-confidence; and improved balance, circulation, and overall health--through the eight simple exercises introduced in Tai Chi for Kids. 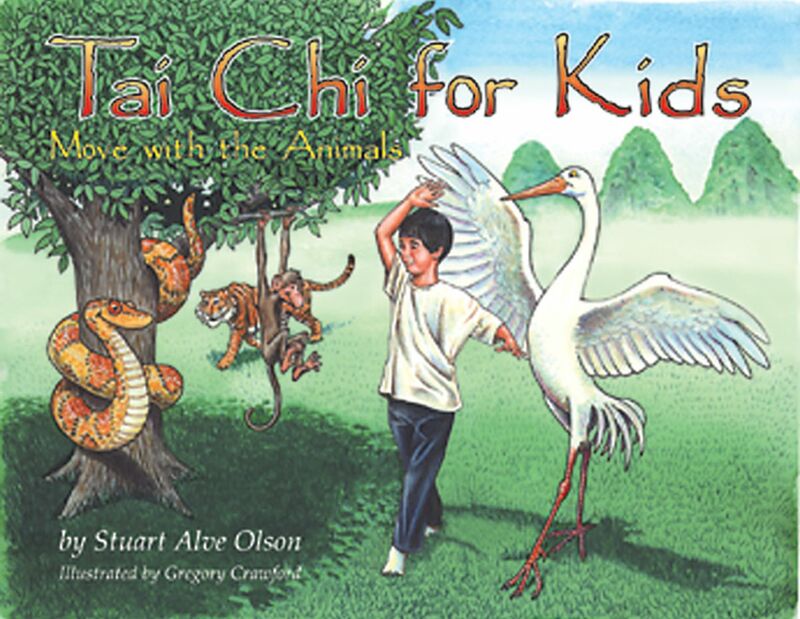 Inspired by his own son's excitement with tai chi at the age of only three, master teacher Stuart Olson appeals to the innate imagination and playfulness of children to teach them the eight basic forms of a tai chi practice. Children have fun imitating animals while guided by colorful and playful illustrations and photographs of Olson's son, Lee, performing each posture. Olson uses the language of a storyteller, wonderful animal metaphors that invite children to pretend, and easy-to-follow step-by-step instructions so that every child can enjoy such exercises as "Chasing the Monkeys Away," and "Riding the Tiger to the Mountain." The book also includes a fun teaching tale of how tai chi first began that can be read out loud by a parent or independently by the older child. Tai Chi for Kids introduces children to a lifetime of physical fitness and instills in them a love of movement. Stuart Alve Olson has been a practicing Taoist for over 30 years and has studied with the famous Taoist master T. T. Liang (1900-2002). He lectures throughout the world and lives in the San Francisco Bay Area. "Tai Chi for Kids is a unique and enthusiastically recommended title for any family, school, or library collection." "A great way to introduce your own children to this ancient healing and balancing movement art."